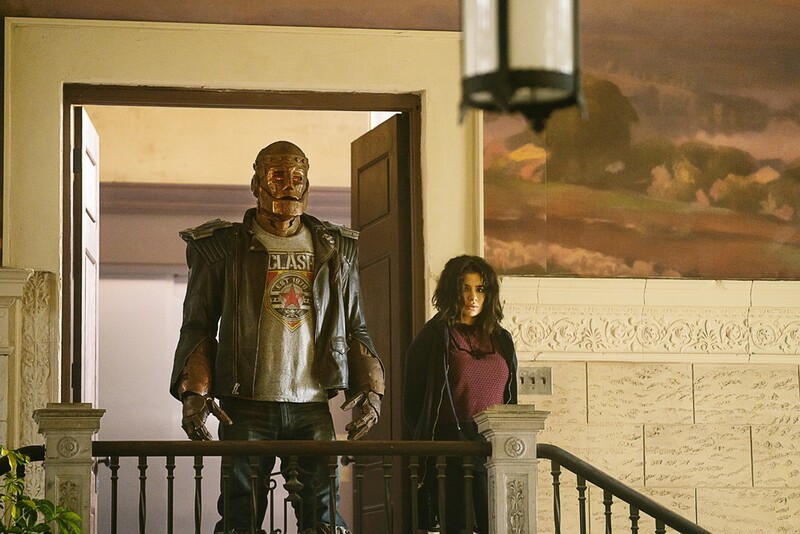 Preview images and official description for Doom Patrol Episode 5 which is titled "Paw Patrol"
“Paw Patrol” is the title of the fifth episode of Doom Patrol to be released this Friday, March 15 on DC Universe, and we’ve got a description and some photos to promote it! Guest stars in “Paw Patrol” include Mark Sheppard as Willoughby Kipling, Curtis Armstrong as the voice of Ezekiel the Cockroach, Julie McNiven as Sheryl Trainor, Lilli Birdsell as Martha/Mother Archon, Ted Sutherland as Elliot Patterson, Jeanette O’Connor as Marilyn, and Ezra Buzzington as Dr. Bertrand. Follow @DoomPatrolTV on Twitter for more updates on the show!